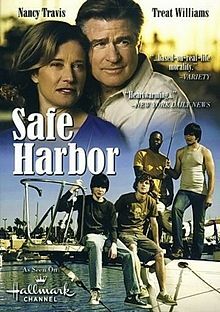 Safe Harbor is a lower-cost Christian academy for troubled boys, using the waterfront as the backdrop for helping teenage boys who are struggling. The philosophy of Safe Harbor is to provide a caring, loving, disciplined atmosphere, to instill self esteem, responsibility and reliability in the boys: to teach them to live and work in harmony with others, to be accepting and tolerant of their fellow man without compromising the truth and, in a word, to become mature. The goals of our educational and vocational programs are to prepare the boys for entrance into and success in the workplace. The foundation principles used include a focus on INTEGRITY and GOOD CHARACTER, team work, listening and speaking ability, problem solving, ability to instruct and lead others, ability to allocate one’s time and money, reasoning and personal integrity, honesty, self management and social ability. Every boy is instructed daily from the Biblical book of Proverbs. All staff members are trained to offer spiritual advice and wisdom in every day settings as well as during times of crisis. In 1982, when we took in our first boys for a short–term stay, we had no idea that this would become our life’s work. But what we were doing with the boys was working. God seemed to have a plan, so we decided to commit ourselves to the boys for one year. In 1984, when we officially incorporated Safe Harbor we had also committed our own financial resources to support the program. We trusted God that even after our own resources were gone that he would help provide the funding if He wanted us to continue. Because we felt that government was not and never would be very good at raising children we decided to accept NO government funding. God has been faithful. Through the time, talent and treasure of countless individuals, organizations and businesses, He has blessed Safe Harbor and all of the boys and families we have served. Since it’s inception the Safe Harbor program has provided each boy with the mental, physical and spiritual strength to succeed in life. The water and boating have always played an integral part in our lives. Life on the water provides serenity and peace, but also unequaled opportunities for life lessons. For these reasons we utilize the waterfront and vessels as the foundation of the residential, academic and vocational education program. In 1989, after years of running the program on a flotilla of donated boats along with only short-term temporary land facilities, Safe Harbor came to the present permanent location adjacent to Blount Island. Through the generosity of the Jacksonville Port Authority, who leases a portion of the land to Safe Harbor, and an individual donor who helped the organization purchase a house on the property, the present campus occupies 2 acres on the bank of the St. Johns River. Sixty-plus donated boats of all sizes fill the docks and the landscape. The vessels serve as housing for the boys and staff; training vessels for marine industry based skills and play an important role in the vocational education and character development programs. While we have kept the unique residential, integrated academic/vocational program, guided by the Christian foundation the same throughout the past 25 years, the vehicles through which the goals are achieved are constantly changing, never stagnant. 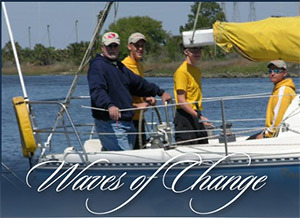 Safe Harbor will incorporate any medium to excite, inspire, teach and bring hope to boys we serve. Our plan for this campus is to increase our census to 30 boys to meet the desperate need for services. Our office receives several placement inquiry calls each day and as many as 20 families are waiting for placement at any time. As funding allows, staff is being increased to accommodate the addition of more boys. Our goal is to have the Jacksonville campus full within 3 years. Our vision is to help others duplicate the Safe Harbor model in other areas of the country. Doug and I are working on a succession plan that will identify someone to take over the directorship of the Jacksonville campus of Safe Harbor in the future. This would give us the ability to travel as ambassadors for the program and assist others with the establishment of additional programs. People often try to praise us for the work we have done. But we have been blessed beyond imagination. Each boy, each family holds a special place in our hearts and we are deeply appreciative of the sacrifices of the donors and volunteers that have brought Safe Harbor Boys Home to where it is today. 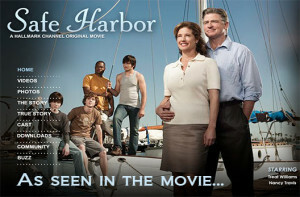 This program is featured on the Hallmark Channel movie, Safe Harbor.